The English translation for this original watercolor is, very picky beak. 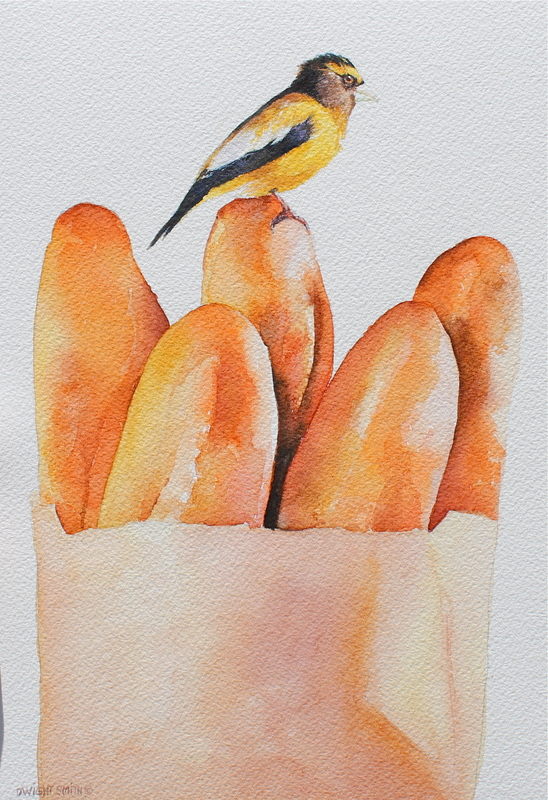 French bread in a bag with a little yellow bird perched ready to eat. This is a food themed still life watercolor.